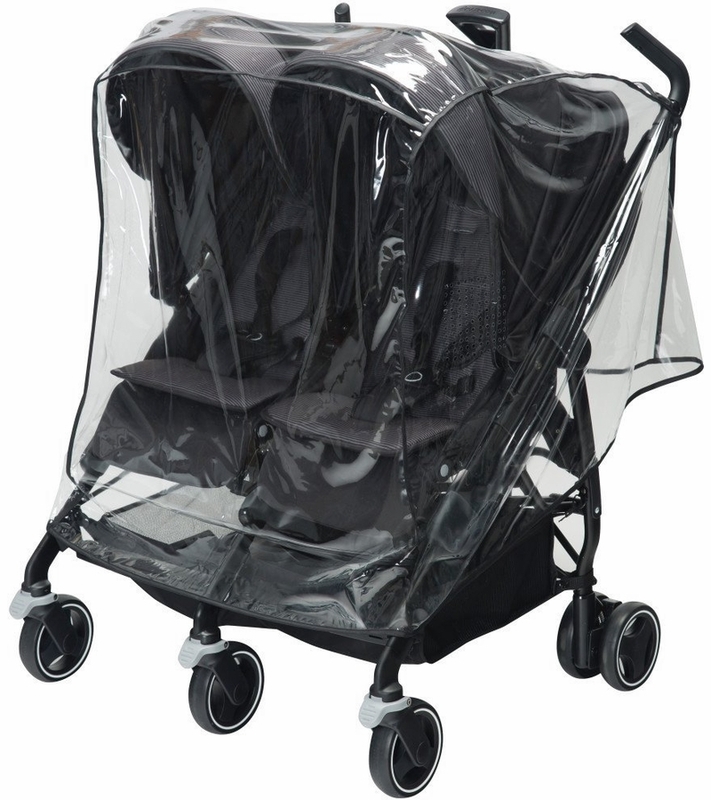 The Dana For2 Rain Shield helps protect your baby from rain without blocking the view. 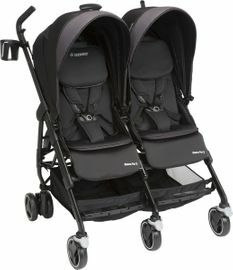 It provides a customized fit to the Dana for2 stroller, covering it where needed, while leaving the stroller handles easily accessible for you. 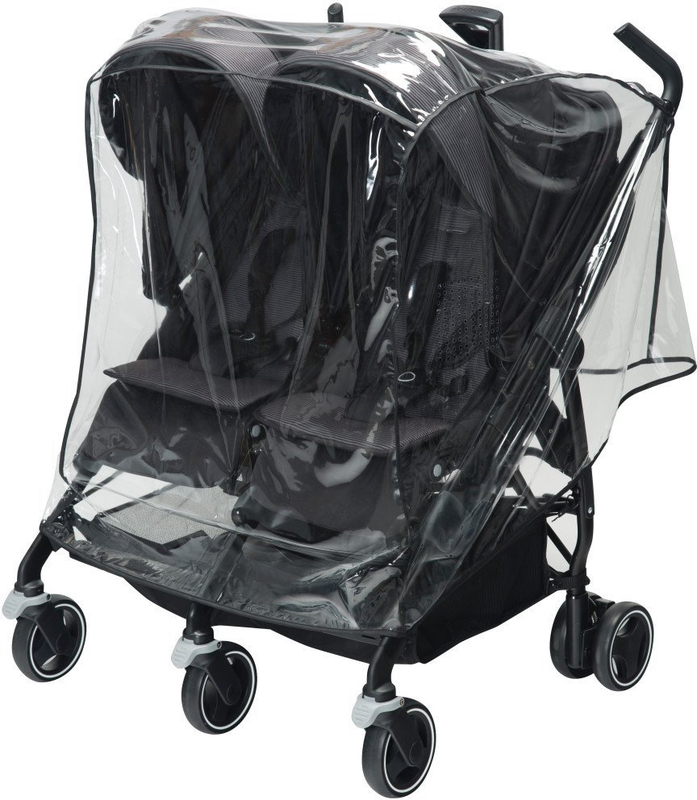 The sturdy, tear-resistant material is designed to last and folds up easily into a compact package when not in use.